Since we created another language all pages will get the corresponding language code added to the URL; having multilanguage disabled the /en/ would be omitted. Tipp: When creating a new page in the page manager the name will automatically create the URL. 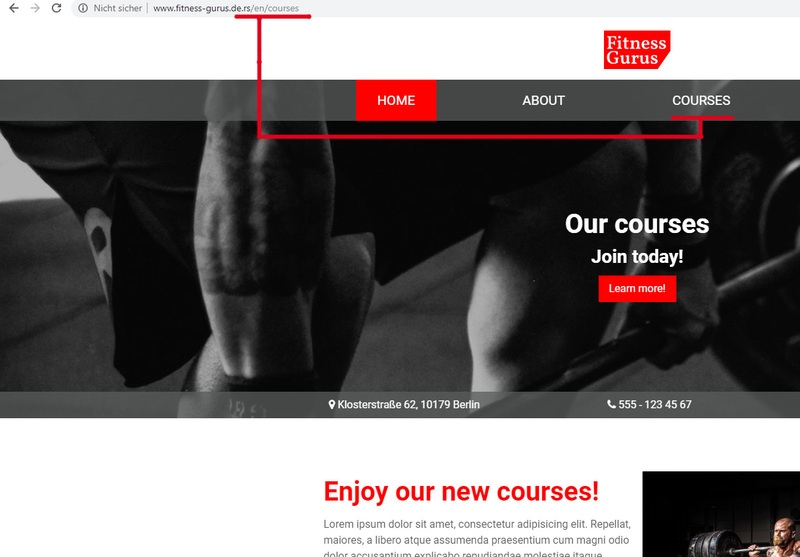 However, you are still able to change either one of them and even make them differ from each other - Sitejet will create the URL according to the entry in the URL input, but might display another name according to the Name input, which then will be displayed as your menu item. Changing name and URL later on is not a problem, just make sure to adjust all links to the according page. Learn more about creating sub navigation.